OAKLAND, Calif. (KGO) -- The Golden State Warriors are turning back time! The team will convert the center court logo at Oracle Arena to the original "The City" logo. This is the first time an NBA team has switched out the center logo for a Hardwood Classics game in NBA history. 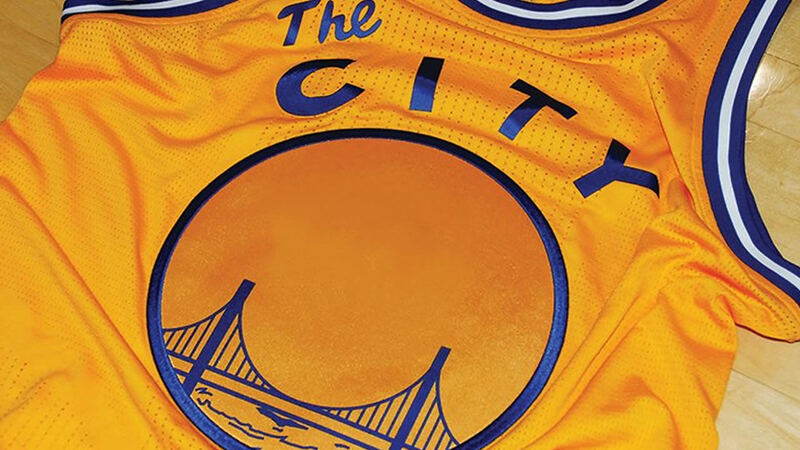 On Tuesday night, the Dubs will don the "The City" alternate uniforms for the first of eight games this season. Tip-off Tuesday is at 7:30 p.m. against the Toronto Raptors.